On-demand cloud applications like online email accounts and online virtual disk space are becoming widely available in various forms. In cloud applications, one can see the importance of underlying resources, such as disk space, that is available to the end-user but not easily accessible. In the authors’ study, a modern file system developed in linux is proposed, which enables consuming of cloud applications and making the underlying disk space resource available to the end-user. This system is developed as a web service to support cross operation system support. A free online mail account was used to demonstrate this solution, and an IMAP protocol to communicate with remote data spaces was used so that this method can mount onto any email system that supports IMAP. The authors’ definition of infinite storage as the user is able to mount file systems as a single logical drive. 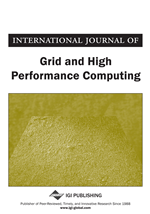 Centralizing storage is one primary aspect in grid computing (Foster, 2002). GOS (Wang et al., 2007) emphasizes the importance of not only centralizing data but as well as distributing data. Online storage space such as online email accounts, social network storage and free online drive space are becoming widely available. We can see that such a trend will continue to expand based on Moore’s law. These data storage space resources are widely available however they are distributed. A single user may have access to multiple storage resources such as email storage and remote disk drives however these resources are underused due to the diversity of interfaces. Our motivation is to demonstrate the application of a grid based storage architecture, which emphasizes on centralizing of personal resources and making it available to as a single resource. Grid-storage architecture provides a single transparent interface that binds a range of distributed services from company wide network storage to cloud enabled services such as online email. We propose a personal storage grid architecture, which is aimed at connecting and managing data space resources from various domains while maintaining transparency and security. We emphasize the importance of “personal” in our storage architecture. In a user’s perspective, various online data space resources are available but not readily accessible for personal usage (Figure 1). We refer to online data spaces resources as free drive spaces, webhosting spaces, social networking services and online free mail. A personal storage grid architecture, which consumes various services and presents them as data space to the user, allows the user to access an infinite amount of storage. Puffs (Kantee, 2007)(Kantee & Crooks, 2007) also presented bringing file-system to the userspace. The term infinite storage refers to where the user can mount on to n amount of services and merge them as a single logical mount, allowing the end-user to transparently access storage space conforming to a grid-like architecture. Our demonstration is to use data space resources offered by online services to create a local storage. This architecture allows the user to access online data space through as a local mounted drive resource and be able to perform tasks such as directory listing, copying files between file systems, deleting, creating, and renaming files and directories. CurlFtpFS (Araujo, 2007) and FuseFTP (Thiesen, 2005) both demonstrate that file operations are possible on a FUSE framework. There are 2 similar projects we encourage for study: (1) Luo’s IMAP storage (Luo, 2007) based on Fuse-J is close to what we are proposing: functioning as a real storage solution. (2) GmailFS (Jones, 2007) implemented using libgmail currently supporting only Gmail space. We constructed a web service that consumes end-user’s file and directory handling operations, and applies it to a designated online resource. Our resource is defined as an online email account and file or directory operations are passed on to our web service, which is applied onto the mail service via IMAP. The file and directory operations our file system needs to perform are: Get Attributes, Open File, Read File Data, Create Empty File, Write File, Remove File, Rename File, Read Directory, Remove Directory, Create Directory (Almeida, 1999; Nguyen, 2004; Alexandrov, Ibel, Schauser, & Scheiman, 1997) (Figure 2).